My first new pumpkin recipe of the season! At the time of this writing, the start of autumn is 2 days away. That’s officially when pumpkin is everywhere in drinks and food and life. One of many reasons it is my favorite season. I promised I would continue making more quick and easy meals, and this is fulfilling that promise. If you serve as stove-top macaroni you’ll be ready to eat in about 20 to 25 minutes. And as a way to mix it up, either for leftovers or if you just want to make a crispier version, I’ll tell you how to make it into a casserole. 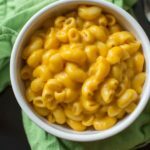 I’ve been almost drowning in macaroni lately because of testing this recipe. 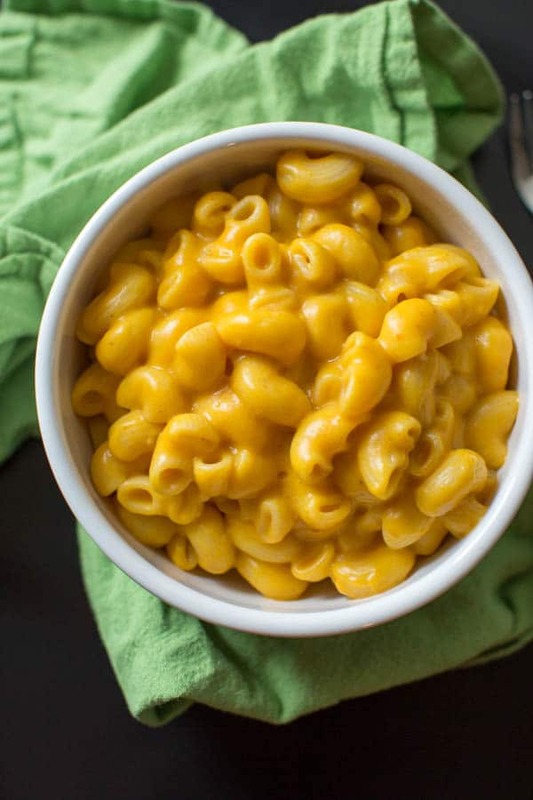 I tried a thicker sauce with less milk, I tried adding pumpkin spice (kind of unnecessary but go for it if you want), less pumpkin, more pumpkin, sharp or mild cheddar, parmesan cheese or not. You get the idea. I ended up preferring the creamier version, with a whole can of pumpkin instead of one cup, and no parmesan. And definitely sharp cheddar cheese. However much macaroni you use, just make sure you have enough bread crumbs to cover the entire dish, and then bake at 400F for about 20 minutes. I like to add a few minutes under the broiler at the end for an extra crisp. But if you’re anything like me and tend to walk away and forget about things, don’t do that. 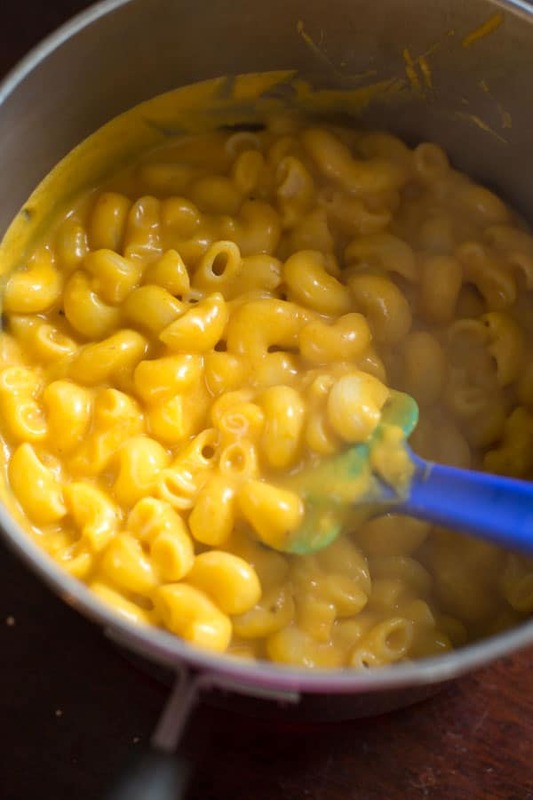 In a large pot, cook macaroni according to package instructions and drain. Add cheddar cheese and pumpkin to milk mixture, and whisk until melted. Pour cheese mixture over the drained pasta and mix until evenly coated. Top with salt and pepper. Can serve as is at this point or proceed to casserole instructions. 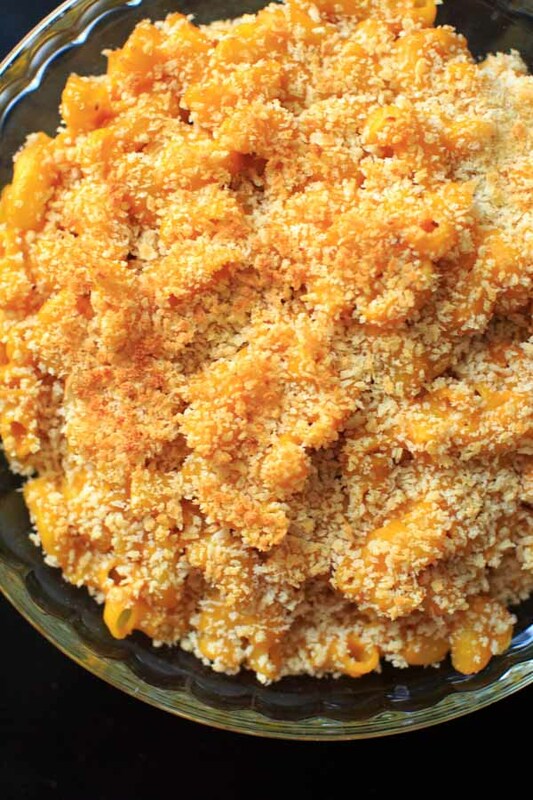 Pour desired amount of mac and cheese into a casserole dish (see notes) and top with panko. Bake at 400°F for about 20 minutes until bread crumbs are toasted. Option to finish cooking time with a few minutes under the broiler for extra browning, but be sure to keep an eye on it! If turning entire batch of macaroni into a casserole, you will need at least a 13 inch casserole dish and up to 1/2 cup panko. I like to turn leftovers into a casserole, so I used about 5 cups macaroni in a 9 inch dish, with 1/3 cup panko. Can’t wait for Fall to begin. 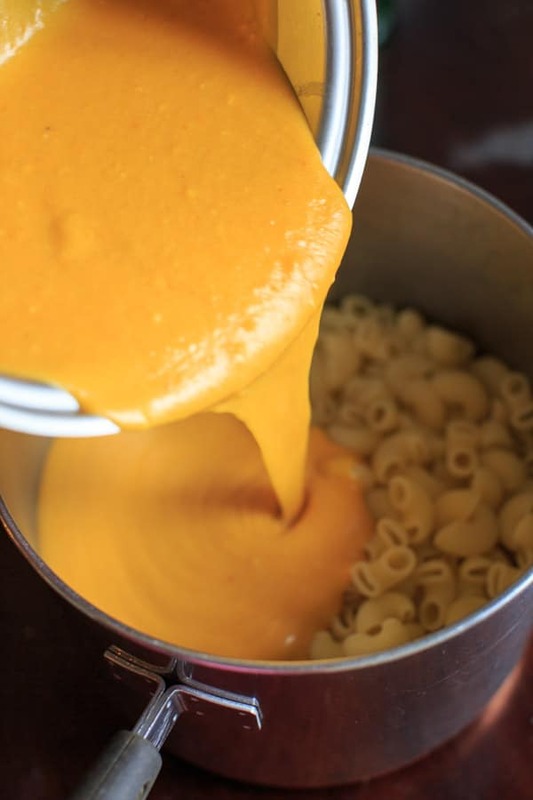 This pumpkin mac and cheese looks so delicious! True comfort food with a flavorful twist! Loved this! We thought it was delicious and bonus points for being so easy to make. Thanks for sharing!